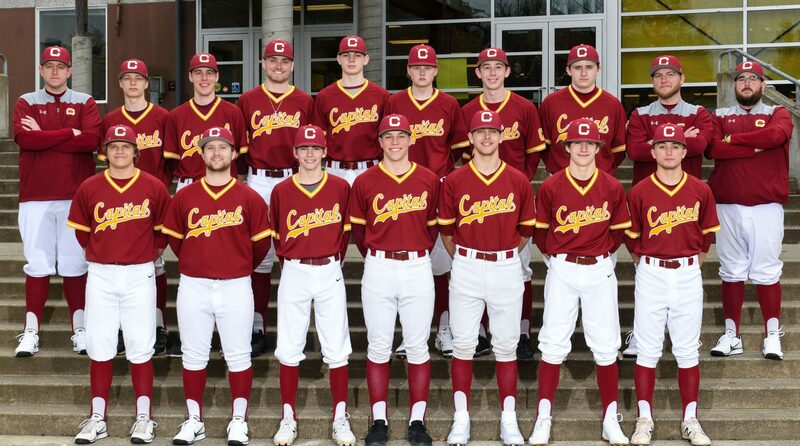 Brett Stock and the three other seniors on Capital High School’s baseball team had become so close over the season they actually developed their own language. And next thing you know, there’s a Capital baseball dialect. Stock failed to go into specifics about which newly created phrases are now considered Cougarisms, but they likely have one for the word success because Stock and his teammates certainly experienced plenty of that this year. 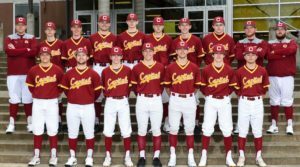 Capital saw its stellar season, which included conference and district championships and the program’s first state tournament win in 11 years, come to an end on May 19 following a loss in the Class 3A state quarterfinals to Edmonds-Woodway at Foss High School. The Cougars, who shared the regular season 3A South Sound Conference title with Central Kitsap and Gig Harbor, finished the year with a record of 17-8 with their biggest wins coming in 7-6 victory over Gig Harbor in the district title game and in a thrilling come-from-behind triumph over Lakeside of Seattle in the first round of the state tournament. Never was that more on display than against Lakeside when the Cougars rallied from a 2-0 deficit in the bottom of the ninth to win 3-2 on a Zach Burke game-winning hit, which scored Chase Leerkamp. 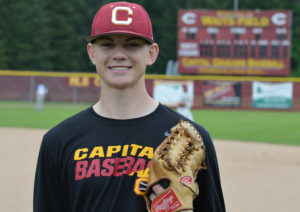 It marked Capital’s first state playoff win since 2007 when the Cougars knocked off Peninsula in the first round and just the second state playoff win for the program over the last 20 seasons. The Cougars, who won state titles in 1979 and 1998, failed in their bid to reach the state semifinals for the first time in two decades after losing an 11-6 game in the quarterfinals to an upstart Edmonds-Woodway team, which knocked off 21-1 Mercer Island in the first round. It was the final game for Capital seniors Stock, Tavin Dawson, Zach Robbins and Alec Rohrer. Capital’s season-ending loss was not only the final game in a Cougars uniform for the program’s four seniors, but it also marked the final game for Elam, who will take over as athletic director at Rochester High School this summer. Elam guided Capital to consecutive state playoff appearances in his final two seasons. The Cougars opened the season with a 10-0 loss to Kennewick before going 2-3 over its first five games. Once conference play got rolling, however, the team found its stride, leading to a 10-4 mark in the SSC. Elam was named 3A SSC Coach of the Year, while Stock was the recipient of the conference’s Pitcher of the Year honor. Juniors Kyle Caspersen and Silas Jensen both received first-team all-conference recognition, while Chase Cleveringa, Grady Lindekugel and Burke all received honorable mention honors. 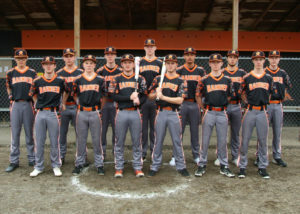 Rainier High School defeated Orcas Island, 11-1, in the first round of the Class 2B state baseball tournament on May 19 at W.F. West High School to give the Mountaineers their first state playoff win in program history. Rainier, which entered the year 0-3 all-time in state playoff games, lost in the quarterfinals to Central 2B League rival Adna, 4-1. The Mountainteers (15-11) lose two seniors from this year’s squad in pitcher Trevin Pericic and second baseman Levi Reise.